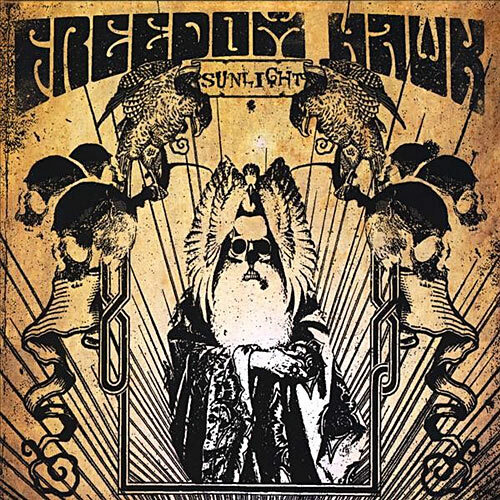 Ripple Music is thrilled to announce the upcoming release Sunlight; the long-lost debut album from vintage rock pioneers Freedom Hawk. Hailing from the barrier dunes of Virginia, the quartet blend heavy riffs into rolling grooves and soulful guitar melodies to showcase their sound. Widely recognized as one of the leading forces in the retro-rock movement, their exceptional brand of heavy and high energy live shows leave many questioning whether they’ve stepped through a time warp directly out of the ’70s hard rock heyday. Wrapped in core metal tones with slight psychedelic edges Sunlight’s driving beat and heavy guitars offer the kind of timeless vocals that gave light to the dawn of the new and heavy revival. Relegated to “digital-only status” for too long and only ever produced on limited, self-released CDs back in 2009, Ripple Music is proud to give this seminal album the full vinyl treatment. Sunlight will be released worldwide on January 27th 2017 in two vinyl versions and CD.